This year we tried a new technique with our egg coloring this year - masking tape. We punched out dots with a hole punch and cut triangles and stripes. 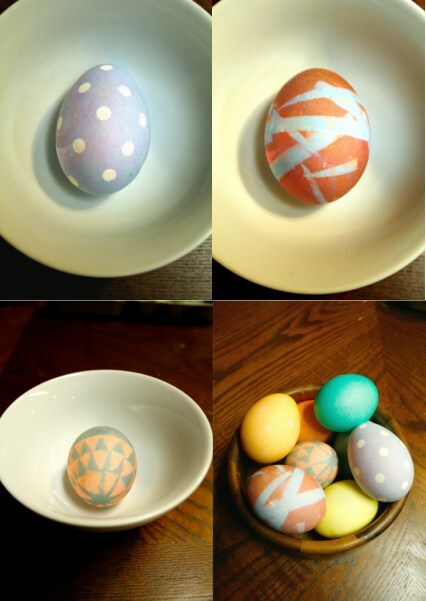 It worked really well to block the color from dying the egg. Once dry we peeled off the tape and re-dyed in different color. Max and Riley liked mixing the colors. It's probably best to use a dark color first and re-dye a lighter color second.